At AA Executive Catering Inc., we don't believe in limiting the choices of our customers. Whether you want to select from our standard options or build a custom menu for your event, we'll be able to help. AA Executive Catering Inc. is your destination for quality catering. Established in Canton, OH in 1979, we have more than 3 decades' experience in catering and event planning for up to 4,000 people. Whether you want to visit our Executive Catering Center or need us to come to your event, we'll be happy to ensure that you get the service you deserve — it's our mission to ensure that you'll be able to enjoy the company of your guests stress-free. What better way to start your Sunday off than with brunch at our Executive Event Center? Whatever your taste buds may crave, we're sure that you'll find something that you'll like at our 40+ item buffet, which runs every Sunday between 10am and 2pm. “The staff at AA Executive Catering is amazing. They went above and beyond our expectations in every way. Thank you again for everything you did to make our son’s graduation party an absolutely perfect event.” Jenny P.
“Five Stars. Manager and staff extremely attentive. Couldn’t have asked for better service.” Ruthanne W.
“Event Planner Alisa was very kind and professional. She helped us with every decision and was very patient and thorough.” Linda Z. 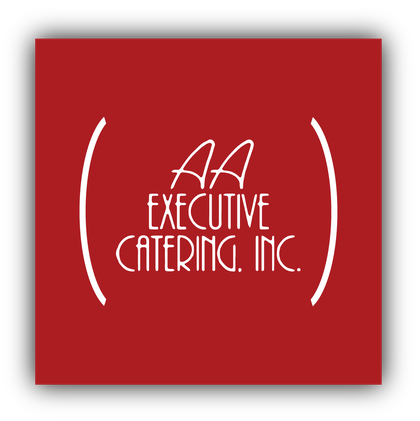 Since we were founded in 1979, AA Executive Catering Inc. has made it our mission to provide our customers with quality food and service. From breakfast through dinner, we’re happy to cater every type of meal, as well as possessing the capability to serve up to 4,000 people. From corporate parties and trade shows to showers and weddings, our team will ensure that your event goes the way you'd planned! 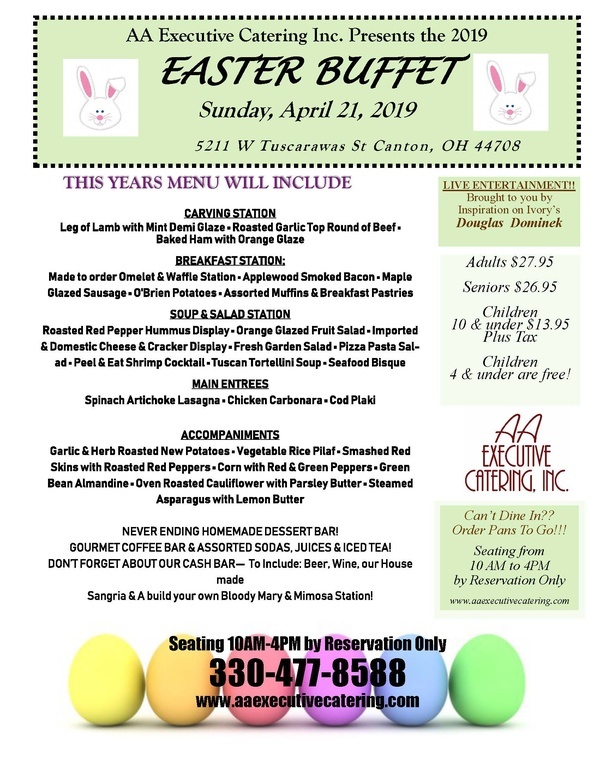 Whether you fancy a day out at the Akron Zoo or time at the North Canton Civic Center, we'll make sure the food is taken care of.